Veterans Day 2017, Washington, D.C.
HomeReunions and GatheringsVeterans Day 2017, Washington, D.C. The MRFA and 9th Infantry Division will be placing wreaths at the Vietnam Veterans Memorial in Washington, D.C. on Veterans Day, Friday, Saturday November 11, 2017. We will be gathering at the steps of the Lincoln Memorial at 8:30 A.M. on the 11th, and proceed to The Wall at 9:00 A.M.
We have blocked 40 rooms at the Arlington Court Suites, a Clarion Collection Hotel, in Arlington, Virginia for November 8th – 11th (Check out on 11/12). Room rates are $122.00 (plus tax) per night. For reservations call 1-703-524-4000 ext. “0”. Please state our group name “MRFA” and give your dates of arrival and departure. If you plan to attend, you must make your reservations under our group code prior to the cutoff date of October 11, 2017. 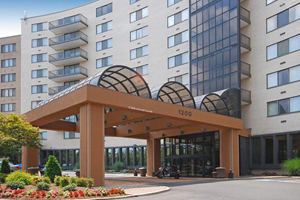 The Arlington Court Suites, a Clarion Collection Hotel, is located at 1200 N Courthouse Rd, Arlington, Virginia 22201. More information is available HERE. The MRFA and 9th Infantry Division will have a hospitality room available on November 8th – 11th. Come join us as we honor our fallen Brothers on Veterans Day 2017. We look forward to seeing you in D.C.